Celebrating Picasso’s Birthday | FLUX. 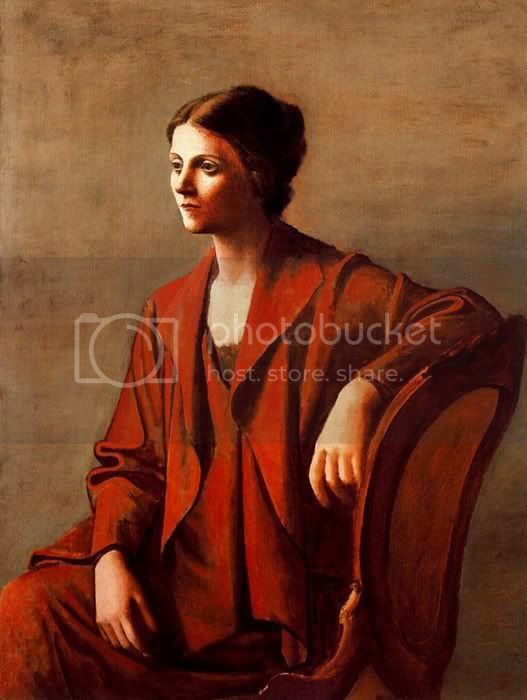 Artist model Fernande Olivier (1881-1966) was Picasso’s first long term relation and subject of many of Picasso’s Rose Period paintings (1905-07). 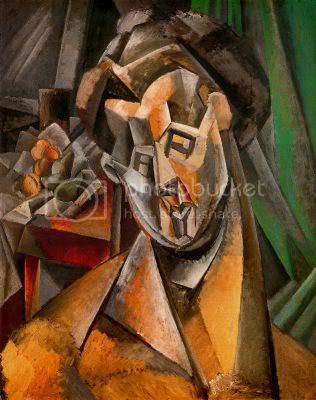 Picasso met her after settling in Paris in 1904. Although Fernande was married, she stayed with Picasso for 7 years. 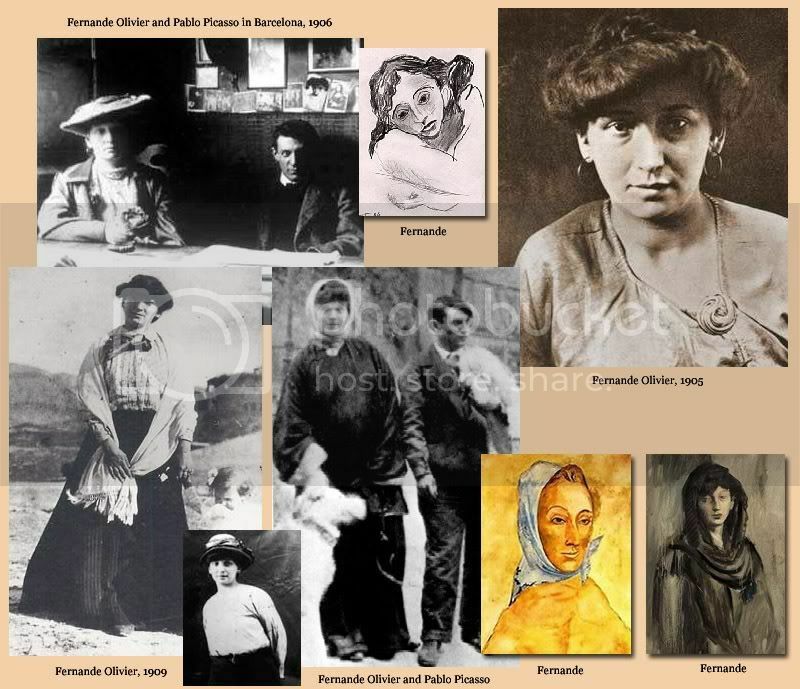 Fernande modeled for other artists between 1900 and 1905 after which she moved in with “the Spanish artist”, Picasso, who then prevented her from modeling for others. Fernande’s having published selections from the memoirs of her life with Picasso infuriated the artist but eventually, at age 70, Picasso paid the ailing and bedridden Fernande a small pension. 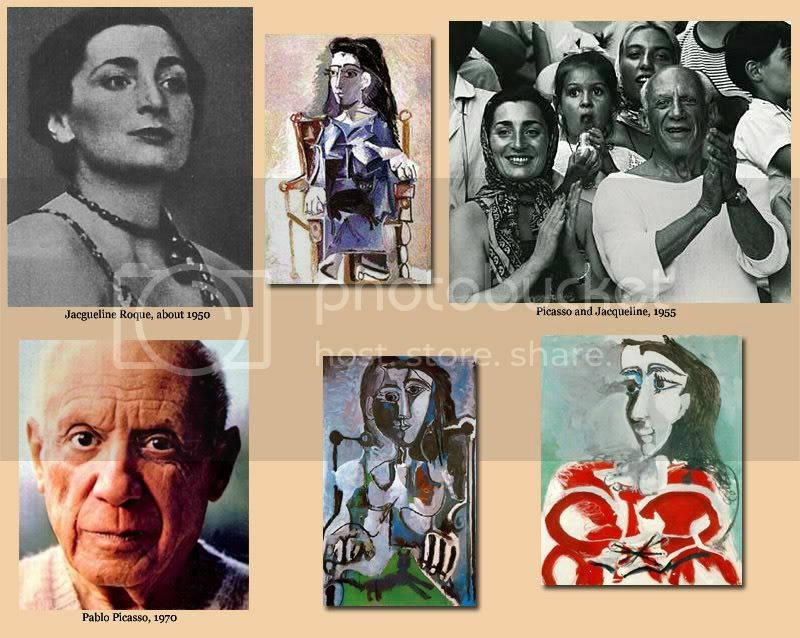 The full memoir was not published until 1988, “Loving Picasso”. 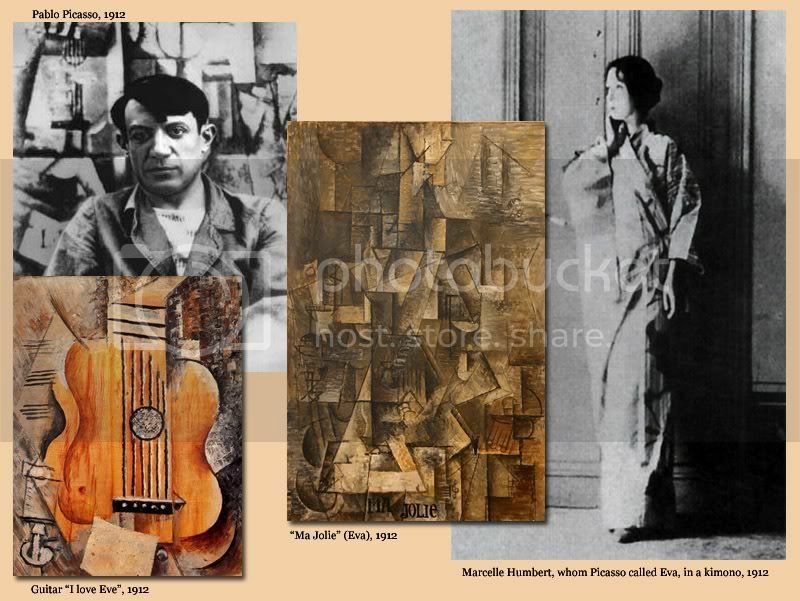 Fernande left Picasso in 1912, months after Picasso took an interest in Marcelle Humbert, known as Eva Gouel (1885-1915). Picasso was devastated by her early death due to tuberculosis or cancer in 1915. Picasso professed his love to Eva by painting “I Love Eva” in some of his paintings. 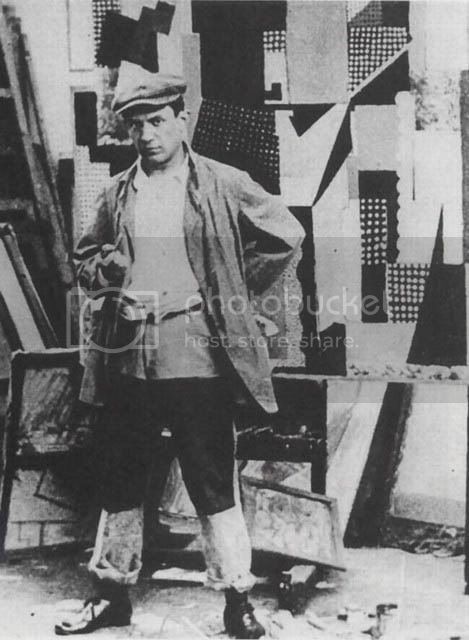 Still, during Eva’s sickness Picasso managed a relationship with Gaby Lespinasse. 1915 – Eva’s health deteriorated. She was hospitalized and died in December. 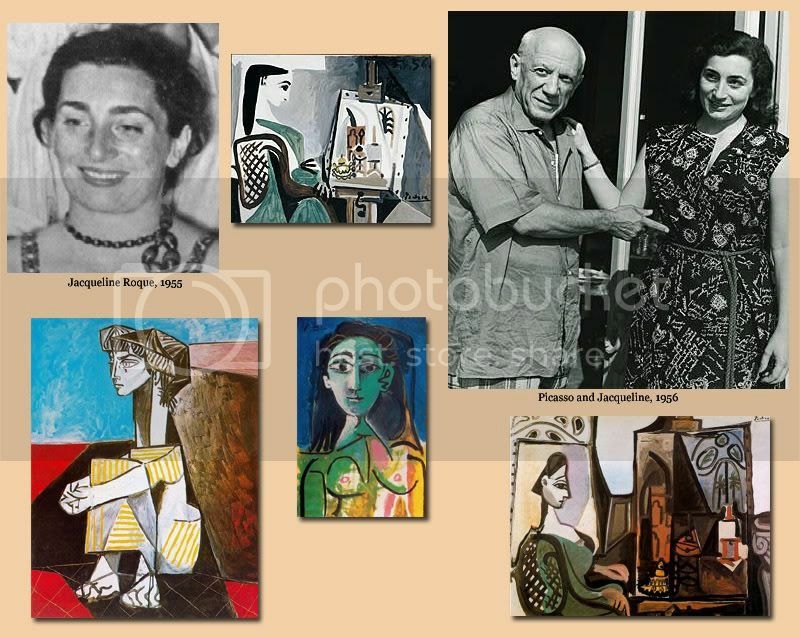 Picasso began an alliance with Gabrielle (Gaby) Lespinasse. 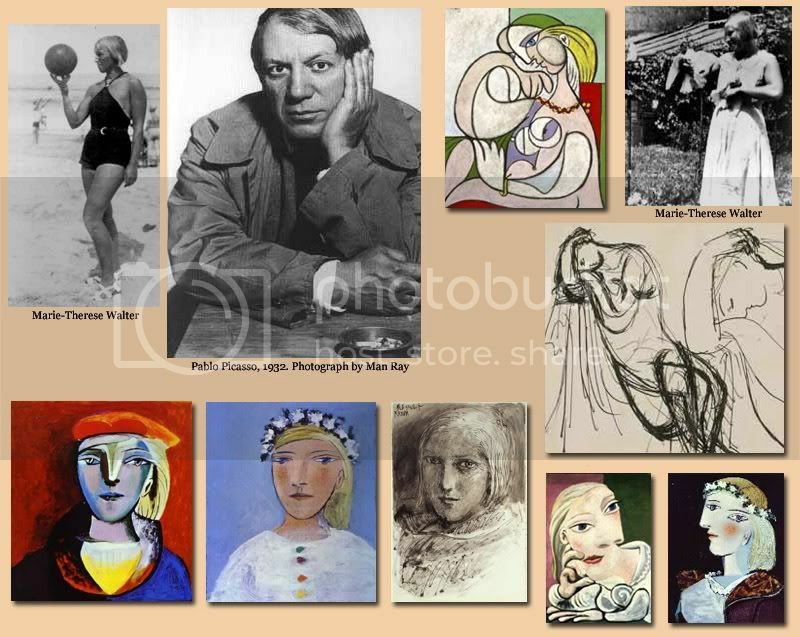 In 1927 Picasso met Marie-Therese Walter (1909-1977), a 17 year old who Picasso then lived with in a flat across the street from his marital home (while still married to Olga). 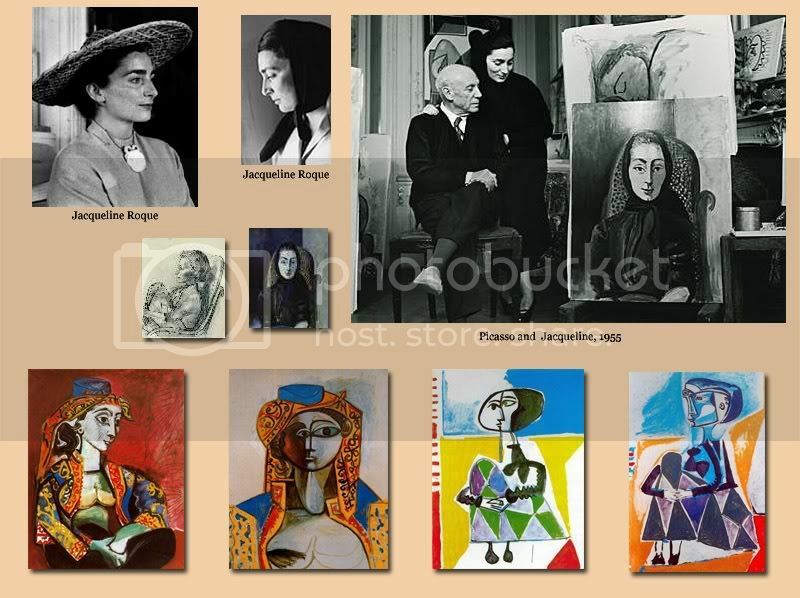 Marie-Thérèse and Picasso had a daughter, Maya (Maria de la Concepcion) on October 5, 1935. 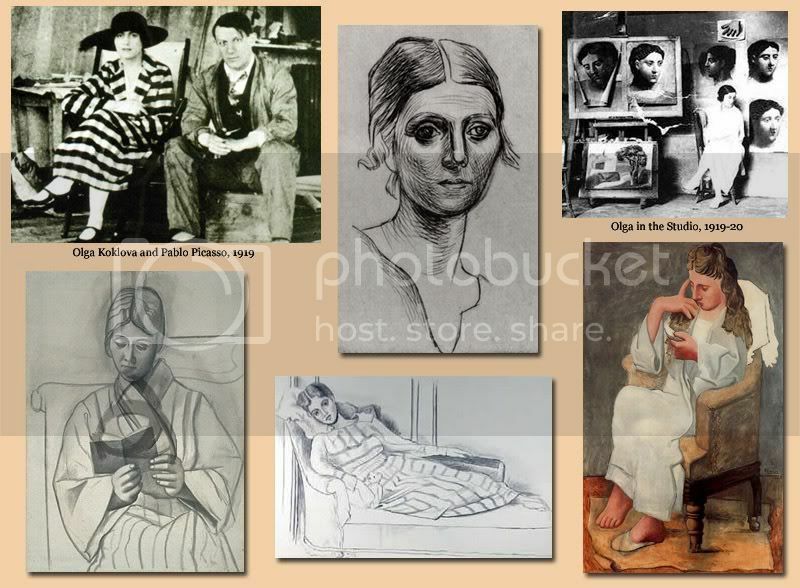 (Picasso and Olga later separated although they remained married so Olga would not receive half of Picasso’s wealth — until she died in 1955. ) 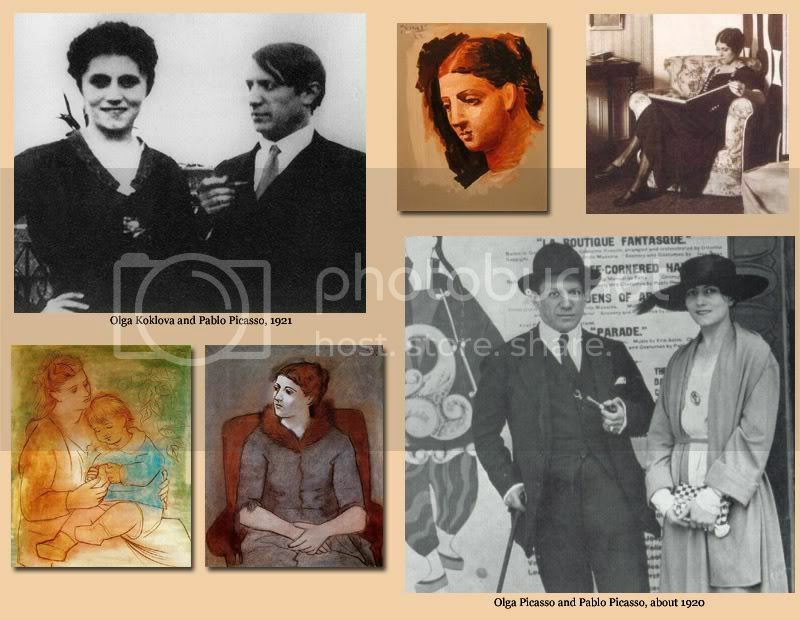 Picasso’s relation with Marie was kept from Olga until Olga was told of Marie’s pregnancy. 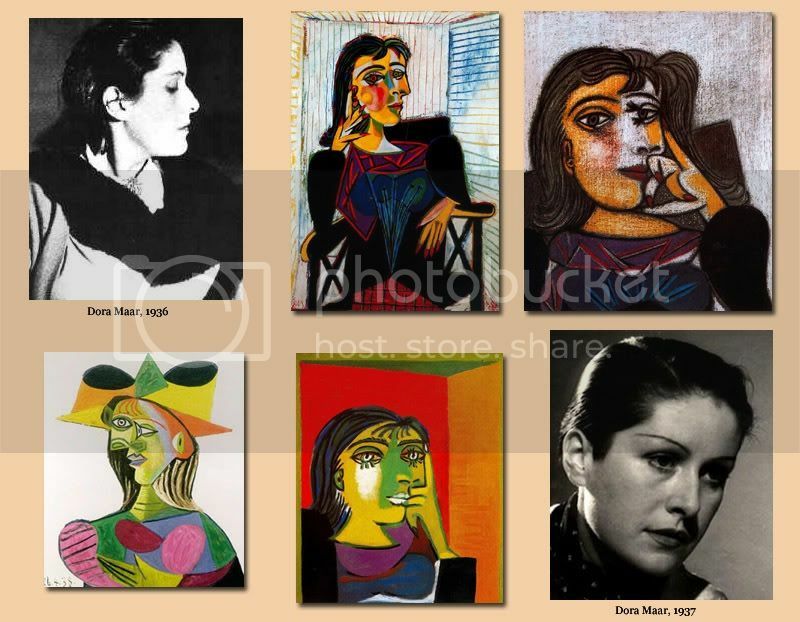 Marie understandably became jealous when Picasso started to fall in love with Dora Maar in 1936, a year after Maya was born. 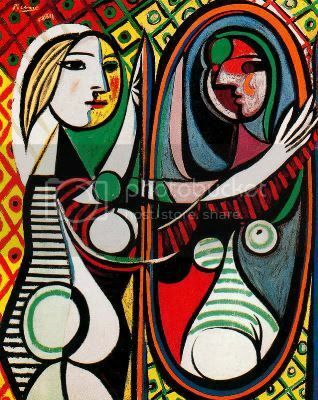 It was Marie-Thérèse who was the inspiration for many of Picasso’s famous Vollard Suite etchings. 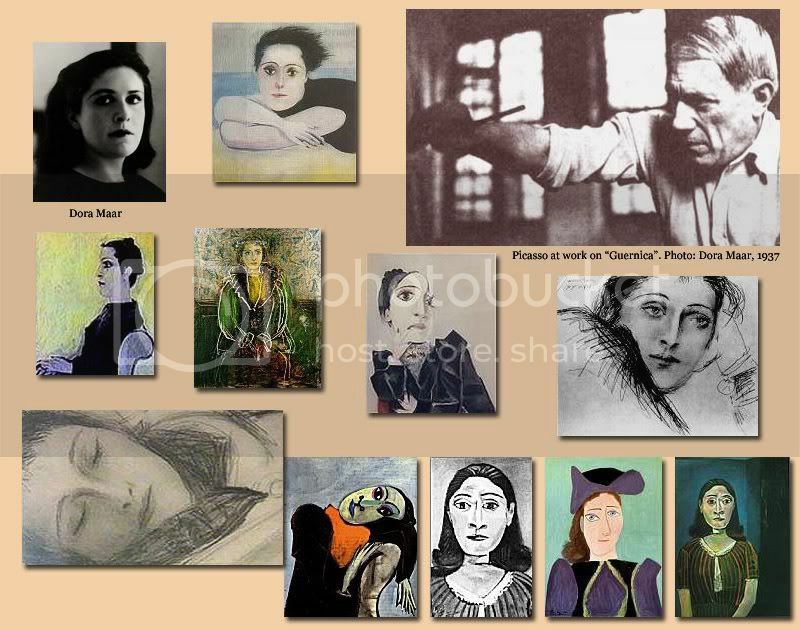 Marie-Thérèse died by hanging herself in 1977, four years after Picasso died. 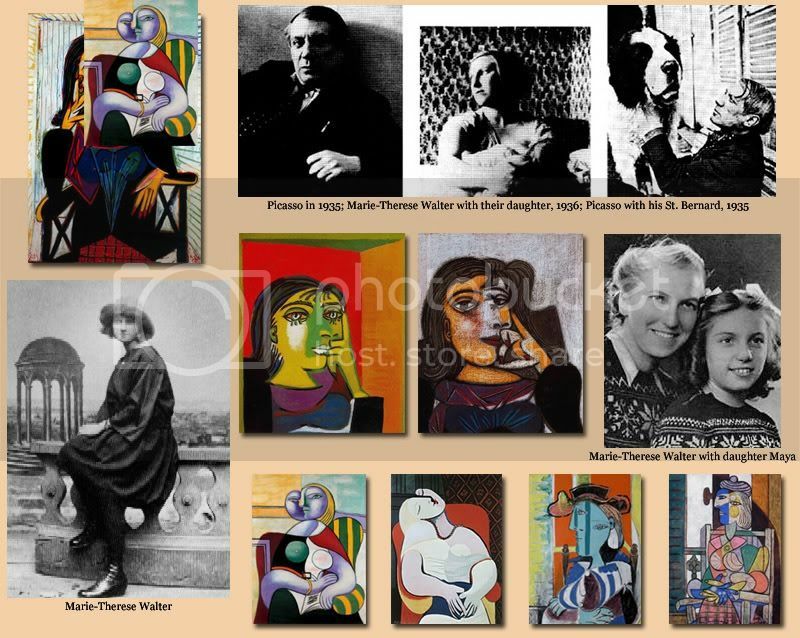 Maya’s son, Olivier Widmaier wrote “Picasso: The Real Family Story” about his artist grandfather, in 2004. Elizabeth (Lee) Miller (23 April 1907 – 21 July 1977) was an American photographer. Born in Poughkeepsie, New York State in 1907, she was a successful fashion model in New York City in the 1920s before going to Paris to become a fashion and fine art photographer. During the Second World War, she became an acclaimed war correspondent and photojournalist.At age 19 she was stopped from walking in front of a car on a Manhattan street by magazine publisher Condé Nast, thus launching her modeling career. For the next two years, she was one of the most sought after models in New York, photographed by the likes of Edward Steichen and George Hoyningen-Huene. In 1929 she traveled to Paris with the intention of learning photography from the surrealist artist and photographer Man Ray. Although he first tried to demur, insisting that he did not take students, Miller soon became his photography assistant, as well as his lover and muse. While she was in Paris, she began her own photographic studio. Together with Man Ray, she invented the photographic technique of solarization. She was a major participant in the surrealist movement, with her witty images. 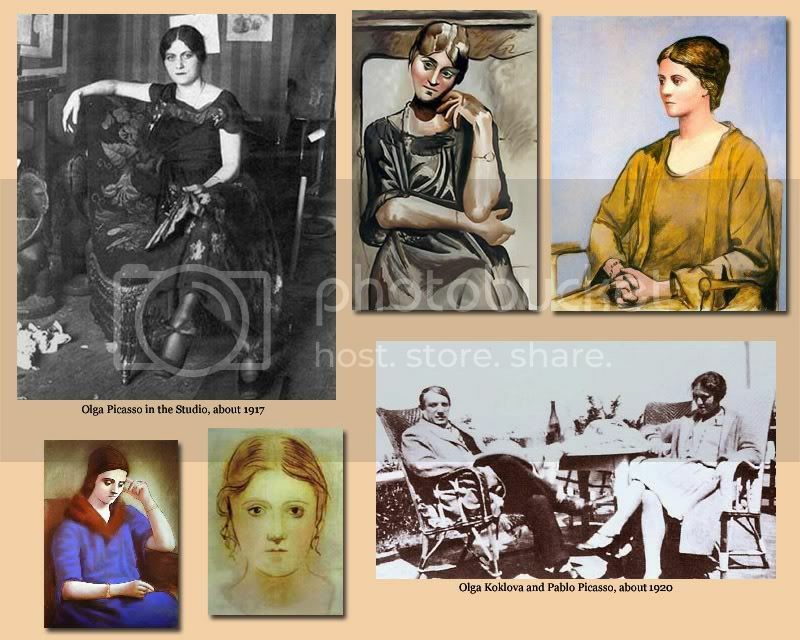 Amongst her circle of friends were Pablo Picasso, Paul Éluard, Jean Cocteau, Gertrude Stein, and Alice B. Toklas. 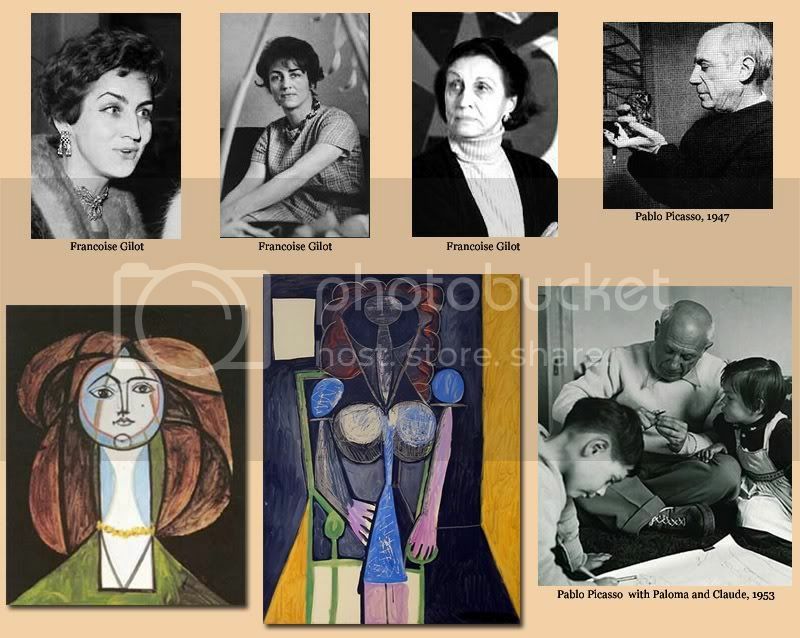 In 1943 Picasso (age 62) then kept company with young art student Francoise Gilot (born in 1921). 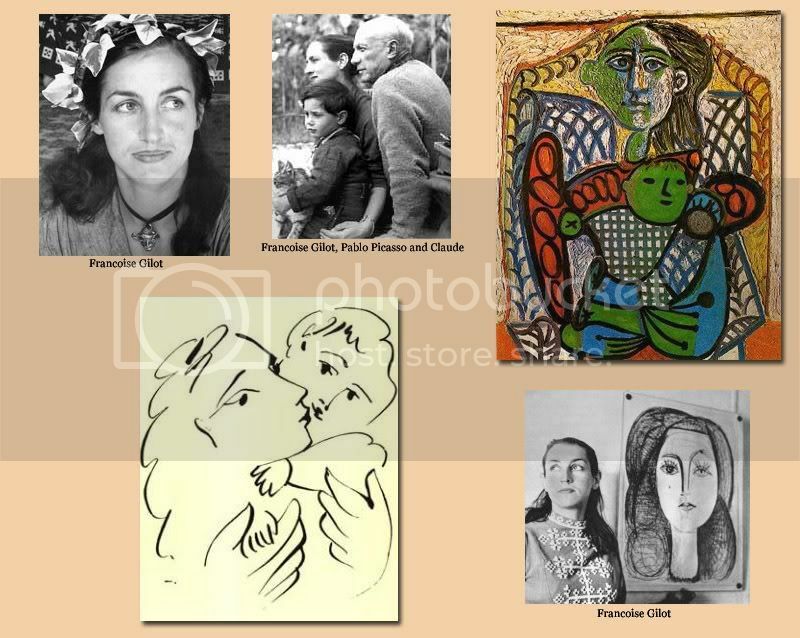 Their two children were Claude (1947) and Paloma (1949) who was named for the dove of peace that Picasso painted in support of the peace movement post World War II. Gilot, frustrated with Picasso’s relationships with other woman and his abusive nature left him in 1953. 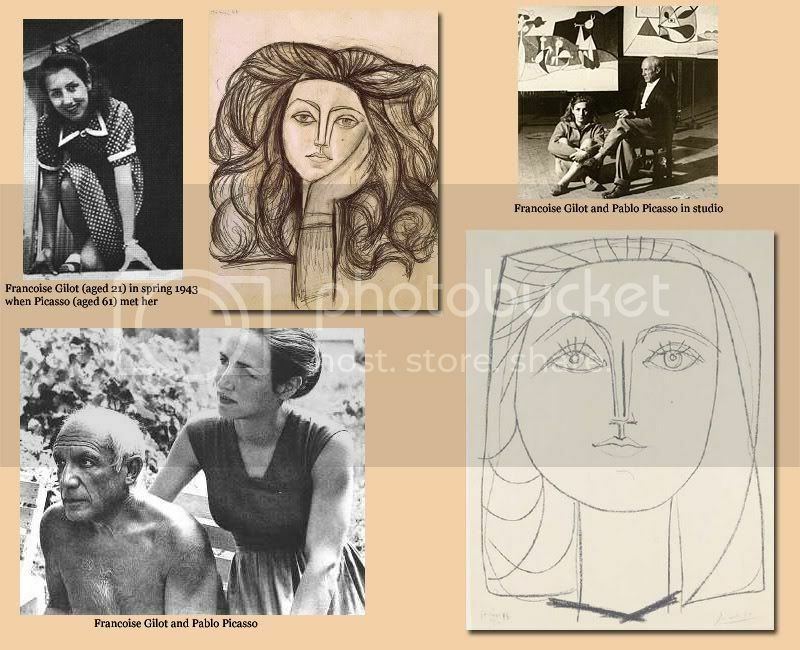 Gilot’s book “Life with Picasso” was published 11 years after their separation. In 1970 she married American physician-researcher Jonas Salk (who later died in 1985). 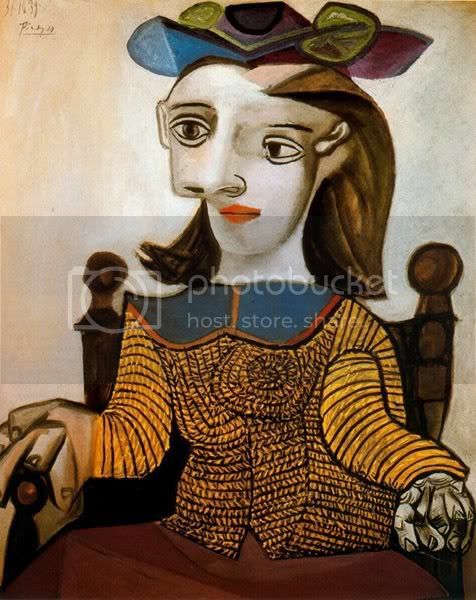 In 1944 17-year old Genevieve Laporte (born in 1927) interviewed Picasso for a school newspaper. 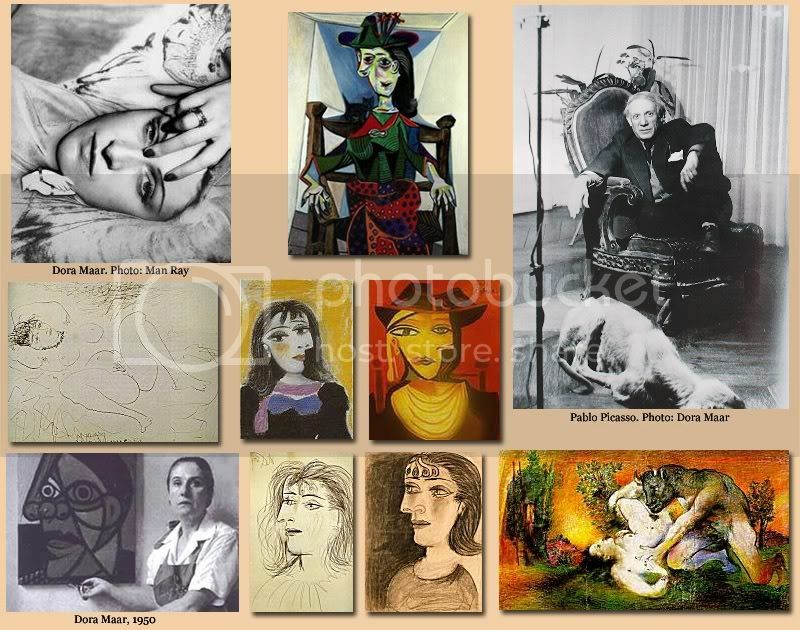 Years later in May, 1951 Picasso began an affair with the then-24 year old. 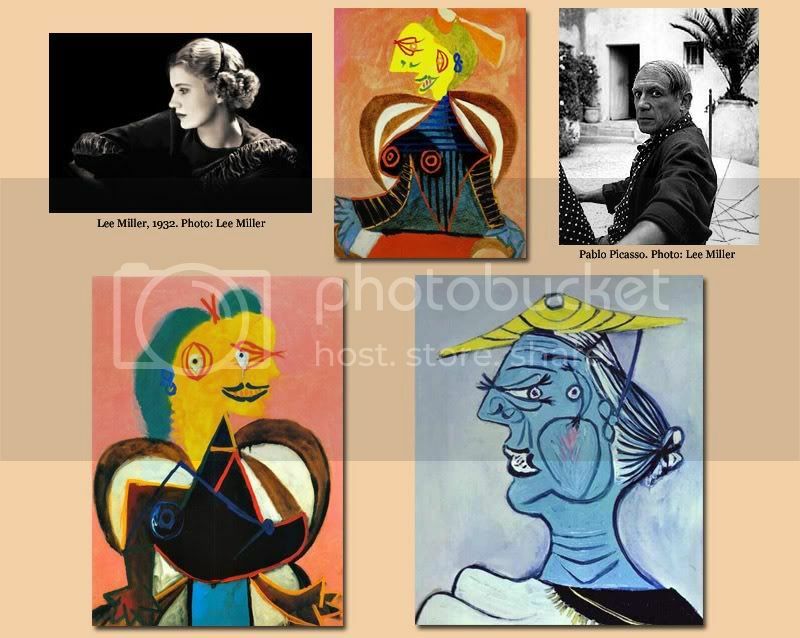 The relationship started when Laporte visited the 70-year old Picasso at his studio while he was still living with Françoise Gilot. That summer of 1951 Picasso took Laporte to St Tropez, leaving Françoise behind. 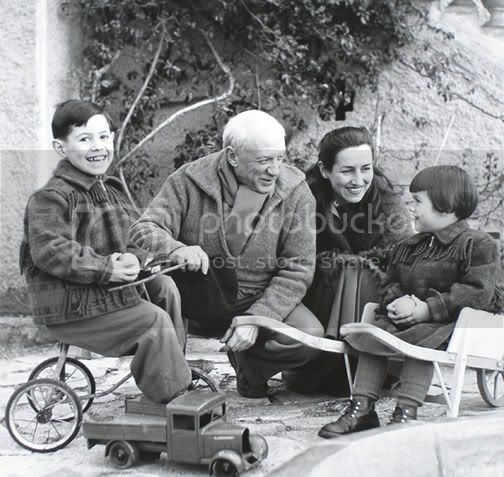 After declining Picasso’s invitation to move in with him in St. Tropez, she left him in 1953 at the same time that Françoise left the artist. Lydia Corbett (Sylvette David) was born in Paris in 1934. Her childhood was spent in an artistic environment, (her mother being a painter and her father an established dealer in contemporary art) though she received no formal training. During the 1954s Sylvett David met Pablo Picasso at Vallauris on the Riviera. 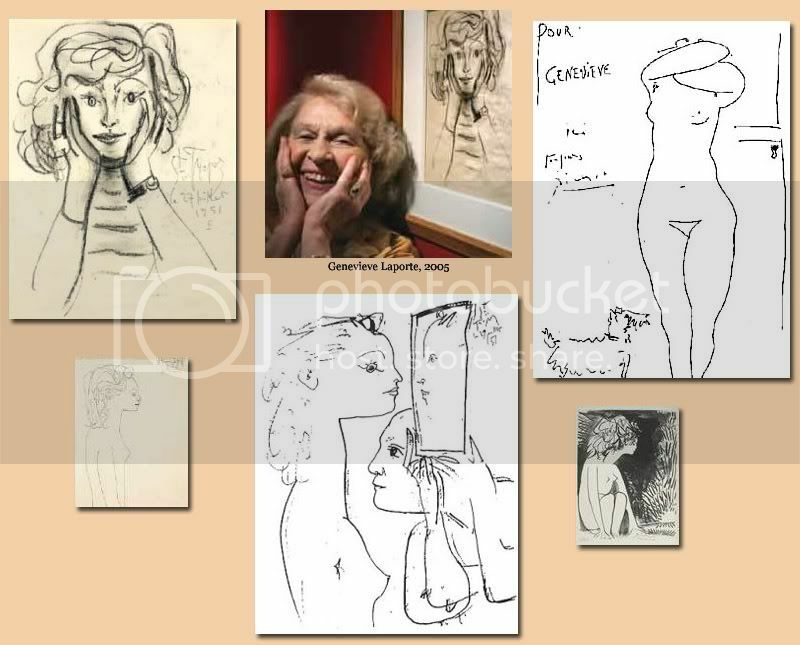 Following the artist’s separation from Françoise Gilot, the meeting with Lydia (then still Sylvette), introduced a new, positive phase in his work and she became the model for a cycle of some forty paintings and drawings (the Sylvette cycle) as well as many ceramics of this period. The “Heads of Sylvette”, a series of folded metal sculptures which Picasso developed at this time, marked the next major innovation in his sculptural work. Dejected and alone, in 1953 Picasso met Jacqueline Roque (1926 -1986) at the Madoura Pottery where Picasso created his ceramics. 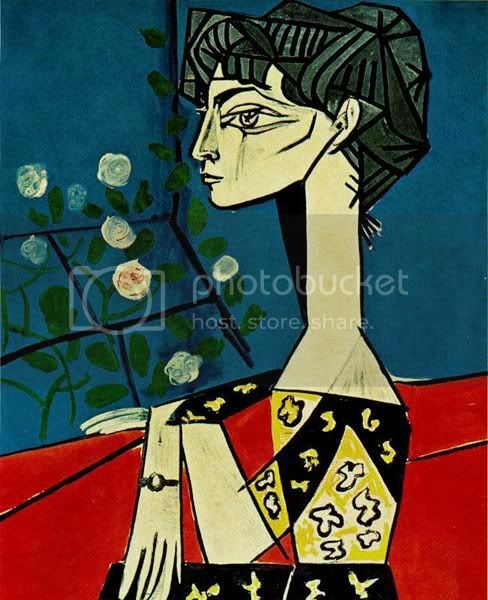 In 1961 (when Picasso was 79) she became his second wife. 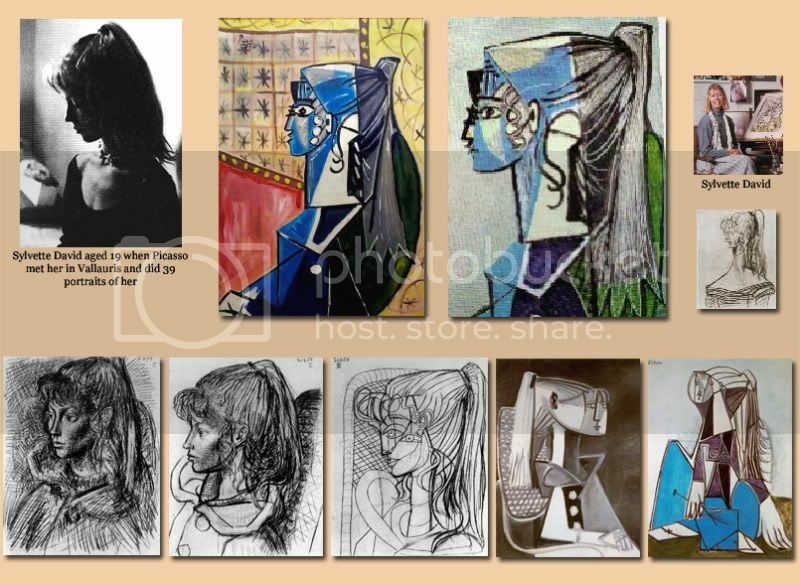 Picasso created more works of art based on Jacqueline than any of his other loves, in one year painting over 70 portraits of her. 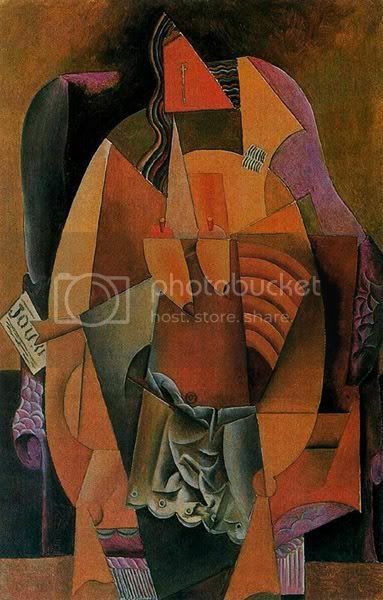 When Picasso died on April 8, 1973, Jacqueline, who had been with Picasso for 20 years, prevented Picasso’s children Claude and Paloma from attending his funeral. Jacqueline died from shooting herself in 1986. 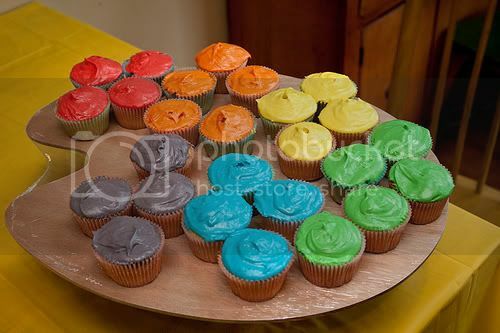 Information and Research was found on All-art.org which is a pretty comprehensive resource for all things art. Bookmarked. 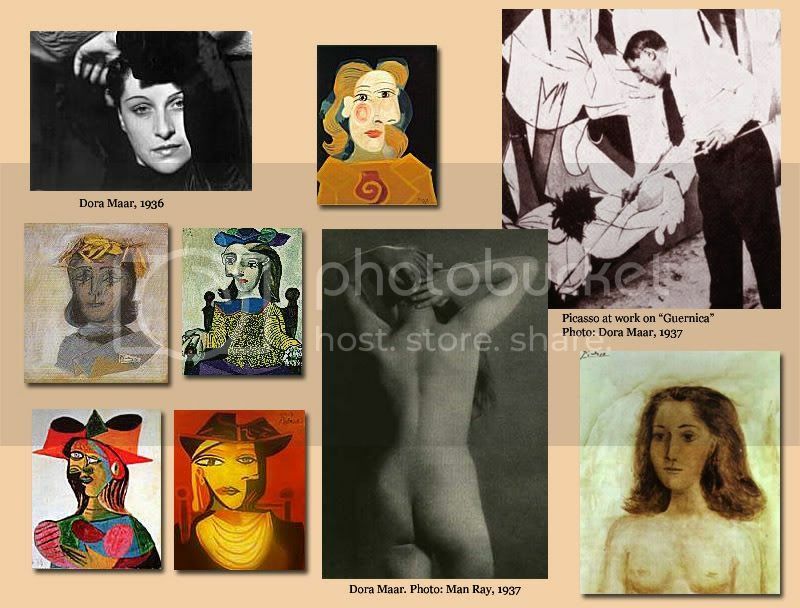 This entry was posted in Art Education, Artist Showcase and tagged Dora Maar, Eva Gouel, Fernande Olivier, Francoise Gilot, Gaby Lespinasse, Genevieve Laporte, Jacqueline Roque, Lee Miller, Marie-Therese Walter, Olga Koklova, Pablo Picasso, Sylvette David. Bookmark the permalink.